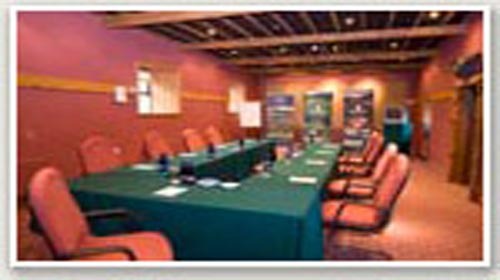 In addition to the Golf Course Rathsallagh also has one of the most famous and multiple award wining Country House Restaurants in Ireland, ideal for the weekend break, added to that it also has conference and meeting rooms , Jacuzzi room, billiard room, tennis court, and bicycles for touring the local area. Clay Pigeon shooting, Falconry, Fishing, Archery can be organised by prior arrangement. Rathsallagh is also home to theBrendan McDaid Golf Academy and is less than 1 hours drive from some of Irelands other well known Golf Clubs such as The K Club in Co Kildare, home of the 2006 Ryder Cup. Rathsallagh is also part of the Dublin & Leinster Golf Pass which entitles holders to a special rate to play Carton ( The Montgomerie or the O’Meara) , Portmarnock Links and of course Rathsallagh for only € 215. Rathsallagh is only 20 minutes from the Curragh Racecourse, home of the Dubai Duty Free Irish Derby and Punchestown home of Irelands biggest National Hunt Festival, and for the shopper Irelands latest and biggest designer discount shopping outlet, The Kildare Retail Village. And yet the centre of Dublin, Dublin International Airport, and Kilkenny is only 1 hours drive away. We are central to some of the most beautiful countryside in eastern Ireland. Please see our web site for details of Special Offers, Golf Opens and Golf Club Membership, Green Fees, Corporate & Society Golf Days, Weddings and speciale events including .Christmas and New Year . Rathsallagh House is a Queen Anne stables converted into living accommodation after the original house was burnt out during the rebellion of 1798. Today, and to compliment the award winning restaurant there are 31 luxurious bedrooms at Rathsallagh, all en-suite and all individually named and decorated. Most have walk in showers and double ended baths ( try our bath menu ) and under floor heating, all have bath robes, DVD players with a video library at reception and free intent access. For bedroom views click on the Photo Gallery button on the left hand side of this page . For some independent reviews of Rathsallagh why not have a look at these sites. Luxury Expierence - Editorials on luxury products. Hotel Reviews Ireland - The Best Places to Stay in Ireland. Hotel Review Ireland - UK edition. At Rathsallagh the traditions of hospitality, comfort and friendliness are blended with superb facilities to produce a secluded and contemplative business environment . Arrive and enjoy your morning coffee in our informal Drawing rooms as you relax by log and turf fires before proceeding to your chosen meeting room, all with natural day light and each with its own personality. So whether you are running a senior level board meeting, a workshop or training a larger team, you will be sure to find something suitable. Professional, discreet proactive support from the Rathsallagh Team ensures that everything runs smoothly from your initial enquiry until the moment of departure. An onsite Championship Golf Course, with its renowned Golfing Academy, Snooker, Clay Pigeon Shooting, Archery, Tennis, Health and Beauty treatments, a Walled Garden and a Steam room with Jacuzzi are all available to help you unwind after a busy day. It is good to get away from the office environment when you need to plan your next strategy Rathsallagh House will provide you with an inspirational backdrop where you can sit back, reflect and become motivated all at the same time. The food at Rathsallagh has been described as New Irish Country House cooking though it is much more international than that. We have a brigade of young and enthusiastic chefs in our kitchen who are constantly seeking to improve the variety and style of our menus, and there efforts have been rewarded with a host of restaurant awards including Best Restaurant in Leinster Award 2007 - Food & Wine Magazine. Our cheese trolley showcases the incredible range of Irish cheeses from small farms all over Ireland, while we also celebrate some of the great cheeses of France and other parts of Europe. All our preserves, marmalades , jams, chutneys, and fruit compotes are home made here at Rathsallagh. We also bake our own bread including gluten free ) and produce our own chocolates for petite fours etc. We can cater for coeliac and other dietary requirements please let us know and we will be delighted to look after you. Recommended by international good food and hotel guides Rathsallagh is also a member of Ireland’s prestigious Blue Book. The dining room has an impressive Wine List featuring all the great appellations. Breakfast in Rathsallagh is an experience in itself and has won the National Breakfast Awards four times. The dining room at Rathsallagh House can cater for up to 120 people and our Executive Head Chef ensures that every meal is a memorable one. We cater for weddings, and private dining is also available. For that special family occasion, guests can dine together seated around the O’Flynn’s original antique dining room table which can seat up to 22 people with ease. We are located just off the N9 between Carlow and Kilcullen, idelay placed for dinner after racing at The Curragh, or Punchestown. If you require further details on any event or pricing, or any special requirements we would be delighted to help please contact us via e-mail here. Rathsallagh has a lot to offer besides its unique setting, luxurious accommodation and fine cuisine. Guests at Rathsallagh can enjoy a round of golf on our superb championship golf course or improve their game at the Brendan McDaid Golf Academy .There is our jacuzzi and steam room available for private use , if you fancy some fresh air why not take a walk on our 570 acres of grounds, better still if you own a dog bring it with you – we have heated kennels on site. You can also enjoy tennis in the walled garden, croquet on the front lawn a game of snooker in our snooker room. We also have treatment rooms where you cna enjoy a massage or Beauty Treatment from our therapists. For the more adventurous there is clay pigeon shooting, and archery. We can also arrange fishing on our local rivers, horse riding, and walking on the Wicklow mountains less than 20 minutes away. 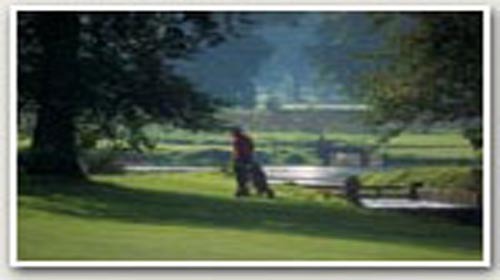 Rathsallagh is also less than 1 hours drive from some of Irelands other well known Golf Clubs such as The K Club, home of the 2006 Ryder Cup, Druids Glen The Heritage at Killinard, and Mount Juliet. In addition we are only 20 minutes from the Curragh Racecourse, home of the Dubai Duty Free Irish Derby and Punchestown Racecourse, home of Irelands biggest National Hunt Festival., and for the shopper Irelands latest and biggest designer discount shopping mecca , The Kildare Retail Village. And yet the center of Dublin is only 1 hours drive. And after all that you will still find losts more to do on our list of 102 things to do at Rathsallagh. Let Rathsallagh host your big day!. Located in Leinster near to Dublin / Dublin Airport on the Kildare Wicklow border Rathsallagh is closed exclusively to you for your Wedding Day. Enjoy the fantastic scenery, the wonderful facilities and the great location Rathsallagh has to offer you and your wedding party with 570 acres of Parkland and Walled Gardens. Rathsallagh prides itself on wonderful cuisine sourced locally, many of the Herbs and Vegetables used are grown in our own Gardens. Rathsallagh has won many awards for its restaurant and the main focus at here is on the food and service: a magnificent 5-Course Dinner cooked to order, with fish and vegetarian options provided, all allergies taken into account The bed rooms at Rathsallagh are luxurious charming, comfortable, and individual. We have being hosting wedding parties for over 20 years now and our experience in that regard is hard to surpass. At Rathsallagh House we can comfortably seat 130 guests whiel we can cater for up to 175 in our Golf Club House from October to March. Rathsallagh House is set up to provide a soft romantic setting for your Wedding with lots of candles and garden flower arrangements provided at no extra charge. Because you have exclusive use of the estate on your big day , Rathsallagh is considered to be one of Irelands more unusual and exclusive wedding venues. Our wedding coordinators have years of experience in providing you with all the assistance and expertise to ensure that your big day is a memorable and pleasurable occasion for all. From Dublin Airport take the M50 south to N7. Take the N7 south for Naas Bypass, exit to M9 southbound - this is the Kilcullen bypass, heading for Carlow and Kilkenny. At the end of the Kilcullen bypass continue on for another 6.5km ( aprox 4 miles ) where you will pass the Priory Inn on the left. Turn left at first T-junction, another mile and you will cross an old railway bridge and immediately turn left. Entrance to Rathsallagh is 1.2km ( aprox 3/4 mile ) on your right.